When I started looking for hotels in Venice, I quickly found out they are very expensive. I tried looking at Airbnb, but I had no idea where anything was located. 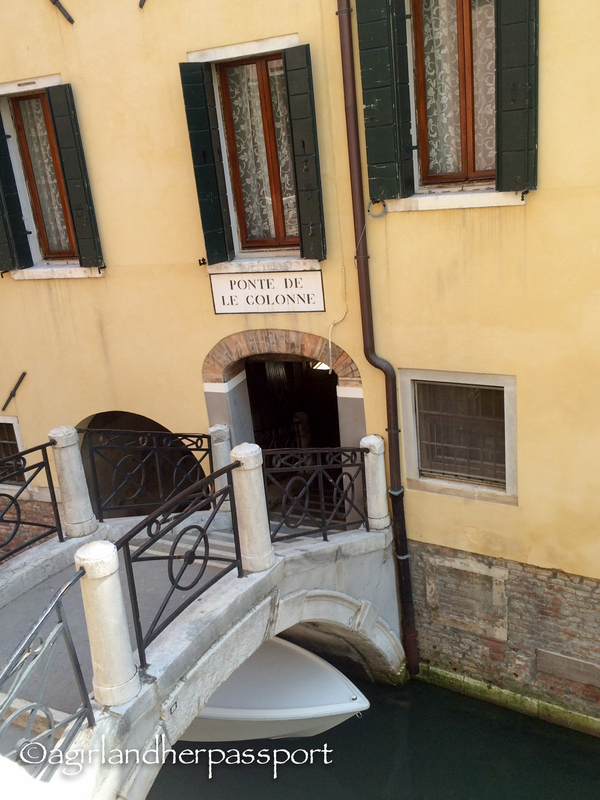 I also knew I would need help navigating Venice, so I decided a hotel was the better choice. Now, I needed to find a cheaper hotel. One friend recommended one that looked great, but they wanted €250 for the first night! I headed over to Trip Advisor to see what the reviews had to say about some cheaper options. That is when I found Locanda Casa Petrarca. All the reviews were very good, well except for the person who clearly expected a five-star hotel for a one star price. What really got me was that everyone said how nice the owners were. I looked up the prices and it was much better than what I had already found. I booked right away! They emailed to confirm they had received my booking and asked for my estimated time of arrival. I had no idea when I was going to arrive since I was driving, which they said was fine, but the hotel isn’t staffed after 7pm. I knew I would arrive before then. Arriving at the hotel sweaty, I was pleased to find a very small elevator to the second floor where the lobby of the hotel is located. I use the term lobby loosely! The entrance looked like an apartment. I only knew it was the place because of the sign. You walk into a cute sitting room. Next to the sitting room is the breakfast area and the “office.” They offered me water while they got me checked in, which was much appreciated since I was so hot. I did have to pay a €3 tax in cash when I arrived, but knew that before I arrived. Then they showed me to my room, which was through the breakfast room and then through the kitchen. I was a bit concerned about this at first, but since I was up early every day to eat and go out, it didn’t matter. They weren’t noisy either. The other bonus was that I had my own entrance from the main building hall to the kitchen. In a way it felt like my own apartment as the entrance to the breakfast room was closed and locked at night. Another reason for me to choose this hotel was they had air conditioning! The air conditioner in my room was so good, I had to turn the temperature up. I found out later it had the newest air conditioner in the place. The room had a massive bed and its own bathroom with a tub! I say own bathroom because a two rooms share a bathroom. I was really surprised it had a tub and that the bathroom was also a good size. The bed took up most of the room, but I didn’t care too much since I wasn’t going to be there much. It was comfortable and that is what matters. I had asked for a canal view and I got one. This was really nice because I could see the gondolas going by and at night they would sing. There isn’t a tv in this room, so the singing gondolas helped keep me entertained at night. Don’t worry about noise because you can close the outside shutters. There are only two rooms with canal views, so request early. The breakfast was simple, but really good. It consisted of bread, fruit, yogurt and sliced meat. Oh and strong Italian coffee! So good. I also quickly discovered the best part of the hotel! It was about a three-minute walk to Piazza San Marco. I couldn’t believe my luck. The second hotel on this trip that had an amazing location. Most of the things I wanted to see were close by or were easy to get to via the Vaporetto at Piazza San Marco. This meant I didn’t spend precious time finding my way around and if you read Monday’s post you know I used that to take naps! Everyone was right too, the staff is very friendly and helpful. When I checked in they gave me a map with all the major tourist attractions circled with Vaporetto line numbers on them. They even told me how to get to the Biennale. Later, Valentina gave me advice on a gelato place and lesser known places to visit. Unfortunately, I didn’t take photos of the room because I didn’t think it would show well. I thought there would be photos of the room on their website, however, this room isn’t on the website. You can be assured the room is great and so is the bathroom. It is on the smaller size because of the bed, but it wasn’t an issue for me. Overall, I would stay here again in the same room. Check rates for Locanda Casa Petrarca here. 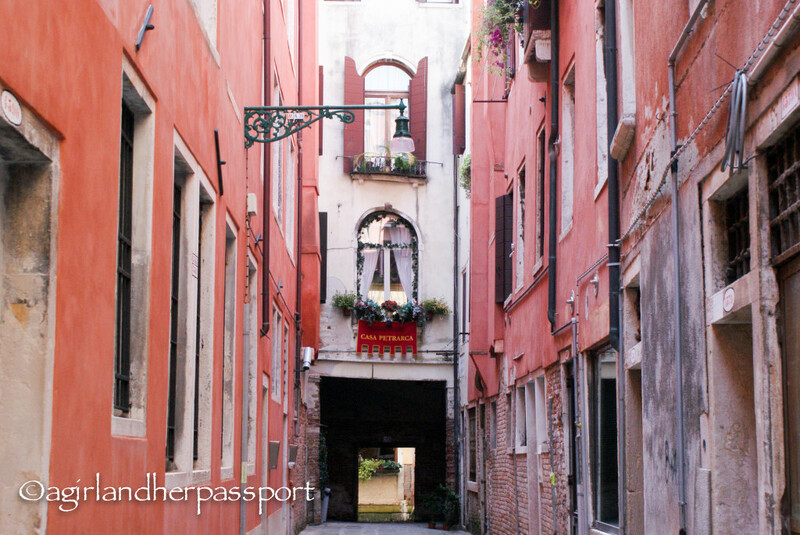 Have you stayed at a great place in Venice? Share in the comments!